Lost Funk Masterpieces Of Ethiopia Record collectors entranced by the otherworldly sounds of Ethiopian funk and jazz of the 1960s and 70s had only rare 45s to slake their thirst until the Ethiopiques series of albums hit US shores in the late 90s. Those albums feature some of the best music to come out of the scene, but still more albums await re-release. Record collectors of the hip-hop generation first discovered the music of Ethiopia's Mulatu Astatke in the early 1990s. At that time, dealers at the legendary Roosevelt Hotel Record Convention in Manhattan peddled copies of Mulatu of Ethiopia, released on the small Worthy imprint, for princely sums due to its then-unknown drum break, prime meat for sampling. Those of us entranced by the otherworldly sounds searched in vain for other albums that sounded like this masterpiece. 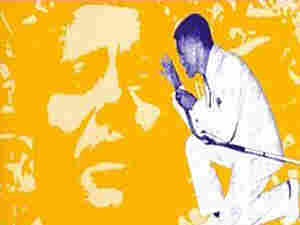 Until, that is, Francis Falceto released Ethiopiques 4, a compilation of the two supremely rare albums Astatke released on the Ethiopian Amha label. Through Falceto's series, Jim Jarmusch's film Broken Flowers (built around Astatke's Amha recordings) and Astatke's recent live appearances, many Westerners previously unfamiliar with the transfixing beauty of '70s Ethiopian fusion have opened their ears. 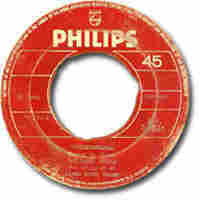 But we're still waiting for someone to compile releases from the small Kaifa label and Phillips' Ethiopian subsidiary. A few are included here, in the hopes that someone goes back and negotiates the release of these lovely songs. Though I've heard some late-'70s cassettes that have blown my mind, I do believe that there were only three instrumental Ethiopian albums (that is, vinyl-only records) recorded and released during what Falcetto has termed "The Golden Seventies." 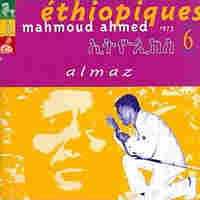 Two are by the ubiquitous Mulatu Astatke, and saw release on the Amha label. 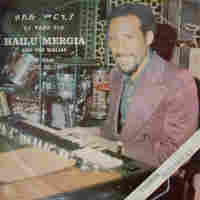 The third is the record that contains the funky jewel heard here, credited to Hailu Mergia and The Band Wallias but owing much to Astatke (featured, naturally, on the vibraphone, which he introduced to Ethiopia). 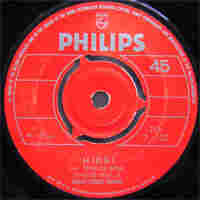 It saw release on Ali Abdella Kaifa's self-named label. Mahmoud Ahmed is the giant of Ethiopia's '70s scene, and tours the world to this day. But, with respect to the man, this song owes more to its arranger and pianist, Girme Beyene. Though "Yasdestal" features the Venus Band, Beyene is best known for his tenure with The Band Wallias (see above), which continued after the band left Ethiopia and toured the U.S. in the early '80s. This song is arguably his lost funk masterpiece, which says quite a lot considering the quality of musicians he produced during his time in Ethiopia -- including the awesome Alehmayehu Eshete. 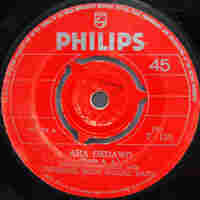 Big-band funk, recorded well by the engineers at Phillips, by the best known of Ethiopia's '70s divas. Don't confuse her with the Ethiopian long-distance runner, born in 1983. This song also features arranger Sahle Degago and the ubiquitous Body Guard Band. Eritrean guitar player, arranger and singer Tewelde Reda is best known as the man responsible for discovering Tsehaytu Beraki, whom I like to think of as Eritrea's answer to Aretha Franklin. His recorded output is scarce but significant, as this slice of up-tempo, swinging soul attests. While some might call this tune dissonant, I prefer to view it as beautifully modal, a perfect example of the Ethiopian qenet system tempered by the tuning of the musicians' Western instruments. "The one," which most fans of funk music so readily anticipate in a rolling groove, never sounds exactly like you’d expect it to. And that's just fine.